Who Can Afford a Bin Full of Fishing Sunglasses? So now we know what the different lens colors do, and even why certain colors are better for certain situations. But damn, these high-tech specs are expensive. The old waders analogy breaks down a little here: I only own one pair of pricey waders, not a different pair for every weather situation. So what if you’re only buying one pair of sunglasses? How do you choose? We need that jack-of-all-trades pair of glasses, because even if it’s not perfect for all conditions, it’ll be pretty close most of the time. This season, from Mexico to Tennessee to northern Ontario, we’ve been switching around between several colors and technologies, and can safely say that the brownish lenses are the ones on our faces most of the time. They’re sold under more appetizing names like dark amber, copper, or bronze, but they’re all brownish, and pretty close to each other. They live right in the middle of that yellow-to-red spectrum, and filter a mixture of blue/green light, presenting you with a high-contrast, not-too-dark look into the water column. Get a pair of good-fitting glasses in this color range–ideally, with photochromic lenses and ChromaPop or another high-def technology–and you’ll be set with the most versatile pair of specs possible for the widest range of conditions. Now let’s say you’ve got a big trip coming up: Mexico, Patagonia, Alaska. You’re bringing your go-to bronze/copper glasses, but some funds have freed up as part of the trip planning and you want a second, more specialized, pair of sunglasses. 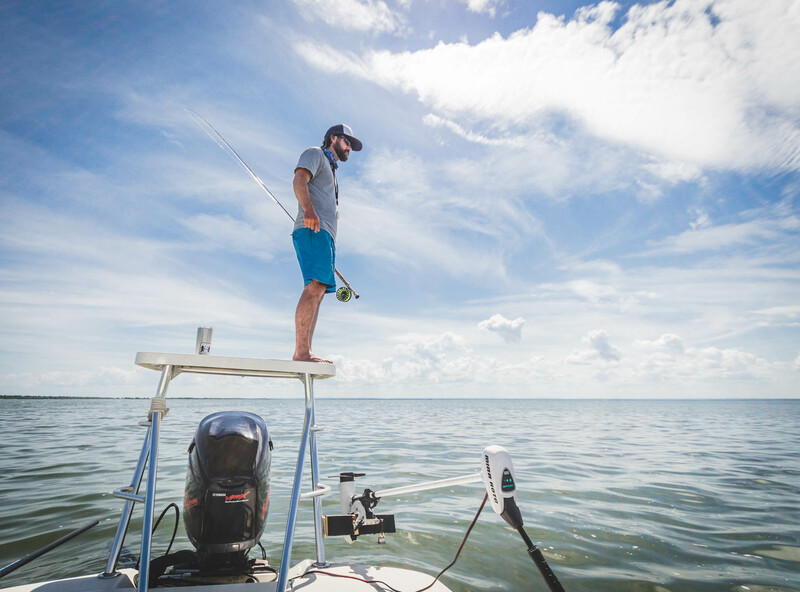 Read up on the water you’ll be fishing, talk to a local or two, and commit to one end of the spectrum, either amber or rose—think Smith’s Low Light Ignitors—and get a pair of lightly tinted lenses for the crepuscular periods and those dark-sky days. This second pair can also work as backups in a pinch if your primary set bails off your head into some fast or deep water. If at some point a third pair of good glasses becomes possible, consider generic grey-tinted lenses. True, they’re about the least ideal color for most fishing, with the exception of extremely bright, offshore conditions. But they do one thing very well, since they don’t filter out specific wavelengths of light: they provide you with a true-color view of the world. This can be important for driving and other normal daily tasks, where will otherwise be tempted to wear your fishing glasses, and drop them on the sidewalk, get lawn-mower two-stroke gas on them, leave them at the pub, etc. Because you ought to be wearing glasses for normal daily tasks. You anglers especially, you who spend more time out in bright sun than the average Joe and Jane, and in fact get a double dose from sun reflected off the water. Your eye health depends on wearing sunglasses just as much as your skin health depends on long sleeves and SPF50. Our eyes were designed to handle a certain amount of sunlight—or, more specifically, the ultraviolet light (UV-A and UV-B) that comes with it. But too much is a bad thing, and it adds up over time. It’s kind of like the barefoot running fad that came around a few years ago. Our feet evolved for barefoot walking and running, and there’s plenty of studies showing health benefits of barefoot running. So why don’t we all just go barefoot all the time? Simple: we expect our feet to last about twice as long as their original design lifespan. Back when we were chasing around giant ground sloths barefoot, we didn’t expect to live to be 80 years old, and it was okay if our feet were worn out by age 40. It’s the same for our eyes. Too many years of UV light can cause cataracts, macular degeneration, and astigmatism. Doctors recommend that everyone wear UV-blocking sunglasses when outside, even on cloudy days. Any good-quality fishing sunglasses will offer 99-100% of UV-A and B protection. Eye safety goes beyond UV light, too. 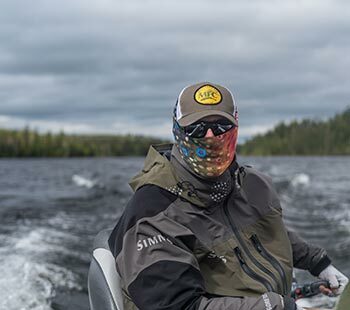 Windblown stuff—dust, pollen, sand, etc.—can be irritating or worse, and other projectiles, like split shot, Clouser minnow dumbell eyes, and 6/0 musky hooks, can be catastrophic. Google for photos at your own risk. Think about how much you depend on your eyes, how fragile they are, and how much of your life they spend wide open to the world, relying on reflex and good luck to avoid damage. So whenever possible, put ‘em behind glass. Actually, for real protection, put ‘em behind high-tech non-glass lenses, like polycarbonate or its younger cousin, Trivex. For most anglers, the optical differences between today’s glass and non-glass lenses are difficult, if not impossible, to detect, and the extra impact protection that they provide is critical under any fishing circumstances other than light-duty trout fishing. 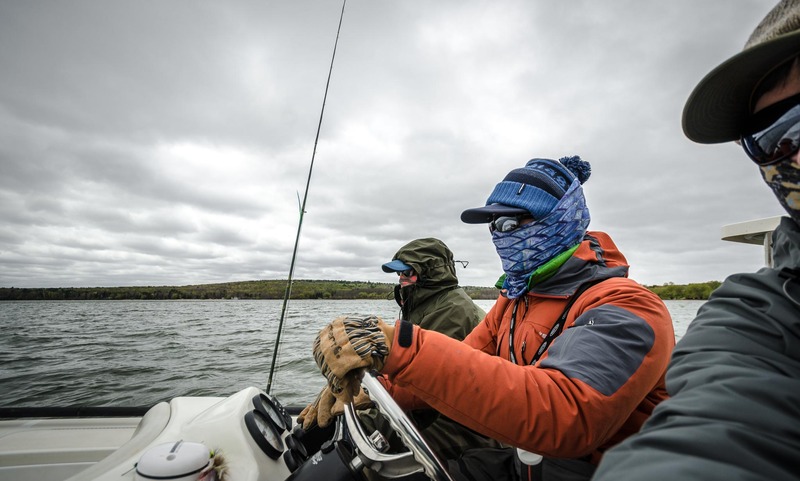 For those anglers who need corrective lenses to fish, things are trickier–no way around it. The simplest answer is to wear contact lenses in conjunction with a pair of nonprescription glasses. This opens up the full line of lens colors and frame styles and makes life easier–but harder in the sense that contact lenses can be a major pain even under perfect conditions, let alone when camping, in inclement weather, or on extended backcountry trips. If you’re a regular contact lens wearer, chances are you’ve already had this experience: it’s the end of the day, your eyes are bit strained from looking for fish all day, and all of a sudden your lenses start drying out and blurring your vision, or adding to the normal irritation of that dust and wind cause. Custom prescription sunglasses are the answer for many anglers. Most high-quality brands, including Smith, offer a prescription lenses. They’re available today in a wide range of styles and lens colors (remember: brown/copper if you can only have one) and are made with high-tech, impact-resistant Trivex lenses in addition to traditional glass lenses. Depending on your own prescription and your fishing style (do you spend a lot of time tying on flies, or scanning flats? ), you’ll have to choose between single-vision or progressive lenses. You’ll also get to customize them a bit with mirroring and other coatings, and you’ll pay for the privilege, but get the right recipe and you’ll be glad you shelled out the extra bucks.